With any event, whether it’s a class, seminar, open house, fundraiser or something in between, the ultimate goal is to get as many people as possible to attend. There’s no point in planning a free or fee-based event if no one shows up. People are busy and calendars fill up fast, so make sure your event is on everyone’s calendars as early as possible. Once you have the basic logistics (when and where) nailed down, let your desired attendees know with a Save the Date email or card. If your event is open to the public, add social media marketing to the mix by posting the date and details to your Facebook, Twitter, and LinkedIn accounts — essentially, to any social network where you connect with members and customers. When using social media marketing, particularly Twitter, it’s recommended that you link to an event landing page so anyone interested can find out additional information. You can host the event landing page on your own website or build one using the Constant Contact Toolkit. About six to eight weeks prior to your event, send out an official invitation to your contact or target guest list. A personalized invitation makes the recipient feel wanted and can compel him or her to register for your event. The invite should clearly outline the key event details and explain how attendees will be benefiting from attending the event. Keep the invitation short and to the point. To provide additional information about your event, link to an event landing page. At this point in the event planning process, registration for your event should be open and ready to accept guests. For events that are open to the public, use social media marketing to spread word to customers and members as soon as your invitations go out. Using social media allows you to promote your event multiple times a week, which you can’t do with email. Change up your wording a bit for each pitch to your social networks so it doesn’t look like you’re constantly posting the exact same thing. And make sure to link to an event landing page for more information. For those who have registered, you can send them an email reminder that the event is coming up shortly and provide any last-minute details. For free events, this helpful reminder can help drive attendance and lower the no-show rate. Word-of-mouth referrals are the holy grail of marketing, so why not get a few referrals for your event? Ask attendees to share with their friends and followers on social media that they are attending your event. 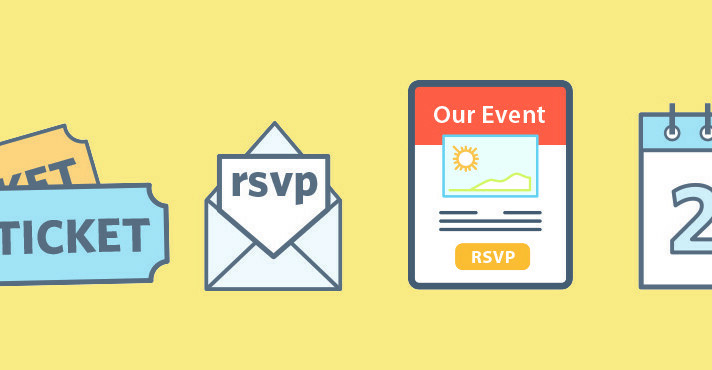 Make it easy by giving them the text and a pre-shortened link to your event landing or registration page. That way, they can simply copy and paste to Twitter and Facebook. For Twitter users, add a hashtag (i.e. #homeshow2014) to brand individual tweets about your event. This lets Twitter users (and you) easily see who else is tweeting about the event. With the help of Avery, you can now quickly print out attendees’ name badges. And it’s simple to add a company logo or custom graphic with just a few clicks. Once you have a better idea of the headcount, you can then use that same design across a suite of Avery products to create promotional items such as personalized water bottle labels, place cards, binders and brochures. Planning an event is a time-consuming process. Use these six tips to ensure a successful, well-organized event! How do you manage your events? Do you have any additional tips? Tell us in the comments below!